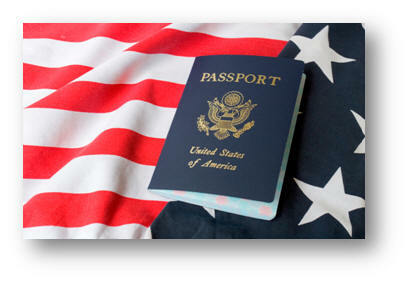 To provide zealous representation for our immigration clients. Immigrants represent one of the best assets for our society, and unlike most other countries in the world, the United States has one of the best track records for accepting and assimilating new immigrants. Our system is not perfect not by a long shot, but compared to what I have witnessed in other countries, the United States still provides a relatively superior option for new immigrants who are willing to work and contribute to our society. Still, the U.S. immigration system remains a political football driven by misinformation and prejudice, and I believe that through education in our schools, government and the media, more people will come to understand the tremendous contributions that new immigrants can and do make to our society. Help Our Clients Reach Their Goals. Dr. Pappas has represented clients on immigration matters from naturalization, deportation/removal proceedings, immigration waivers, appeals, and adjustment of status for family and employment based visa holders. If you require assistance with US Immigration law or regulations and would like Attorney George Pappas to review your matter, then please schedule a consultation. I care about my client’s matters by listening to their needs. I am honest and serious about my client goals and whether those goals can be realistically achieved. Clients will receive honest and frank assessments from me regarding their matters based on the information supplied to me. resided in the United States in 2017. Is the median age of the immigration population. Compared to 32% of U.S. born adults. All statistics were found from an article titled, “Frequently Requested Statistics on Immigrants and Immigration in the United States,” by By Jie Zong, Jeanne Batalova, and Micayla Burrows via the Migration Policy Institute. *Disclaimer: This website provides information about US immigration legal services. Any failure to seek legal advice is at the readers, applicant’s, petitioner’s or beneficiary’s own risk. The law office of George D. Pappas, Esq., P.C. accepts no liability to anyone who uses the information in this website. George D. Pappas, Esq. is a licensed attorney in the State of North Carolina and Massachusetts, USA and admitted to U.S. District Court, Western District of North Carolina and Massachusetts. This web site is operated by George D. Pappas, Esq., P.C. Legal advice provided by George D. Pappas, Esq. P.C. outside the immigration laws of the United States is strictly limited to the state laws of North Carolina and Massachusetts.